Go Ape! 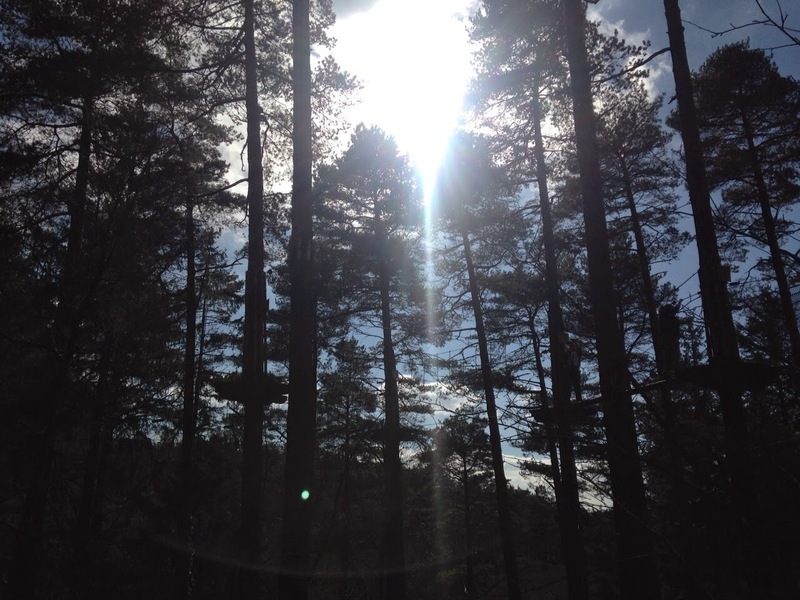 Haldon Forest – Tree Top Adventure! Go Ape! is a day out we’ve wanted to experience for a long time. 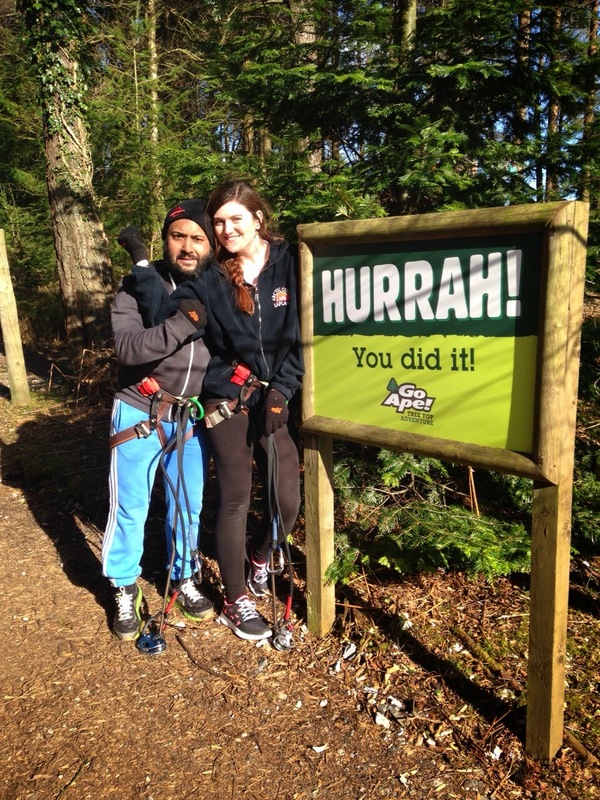 So last Saturday on our little trip to Dorset, Shehzad and I decided we wanted to make the most of our time off and booked a Tree Top Adventure at Go Ape! Haldon Forest (just outside of Exeter) and dragged along my sister and her boyfriend. The weather could not have been better, the sun was shining with a little cool breeze. We were ready to climb some trees and fly through the air like little monkeys!! There are 28 Go Ape! 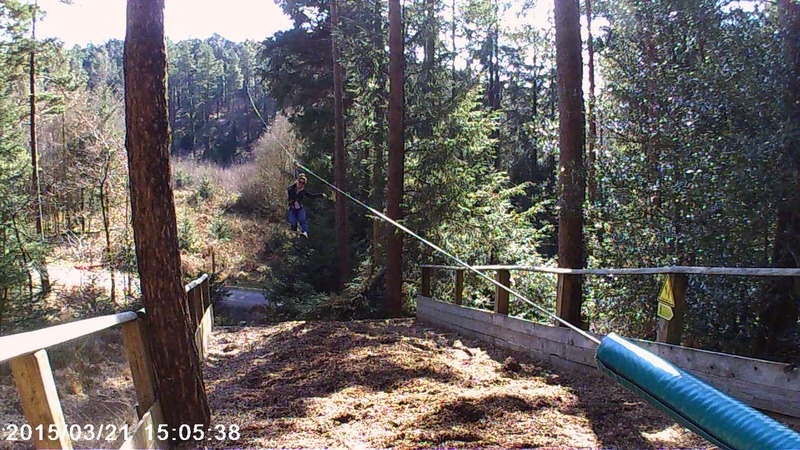 sites across the UK (with a handful more in the USA, exciting stuff for adventurers over the pond) and each site has a Tree Top Adventure plus a few of them with extras such as Tree Top Junior (for kids) and Forest Segway. 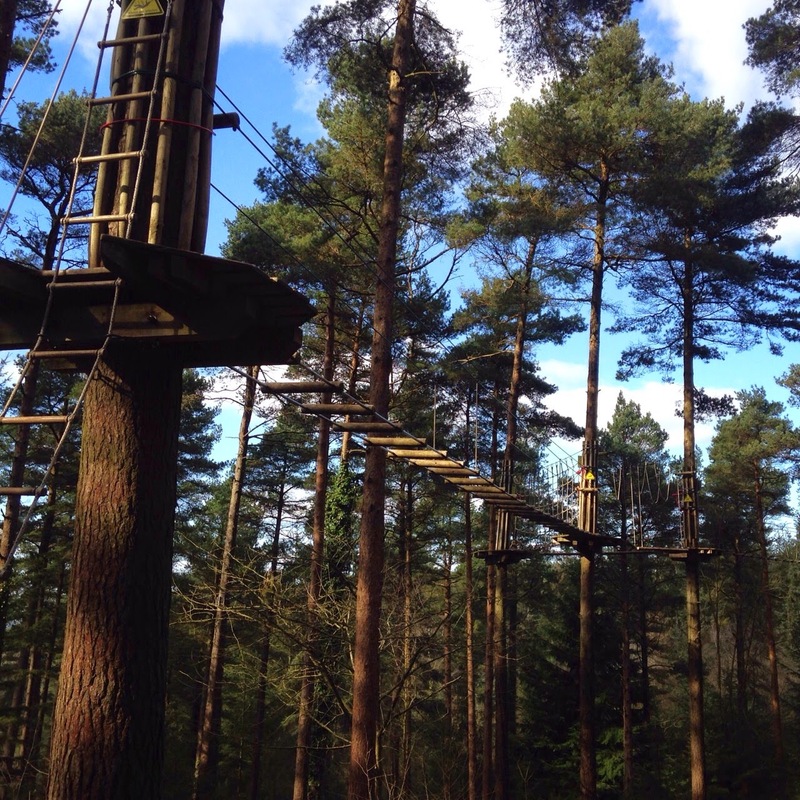 For £31pp, The Tree Top Adventure is a 2-3 hour experience, a real bargain if you ask me! 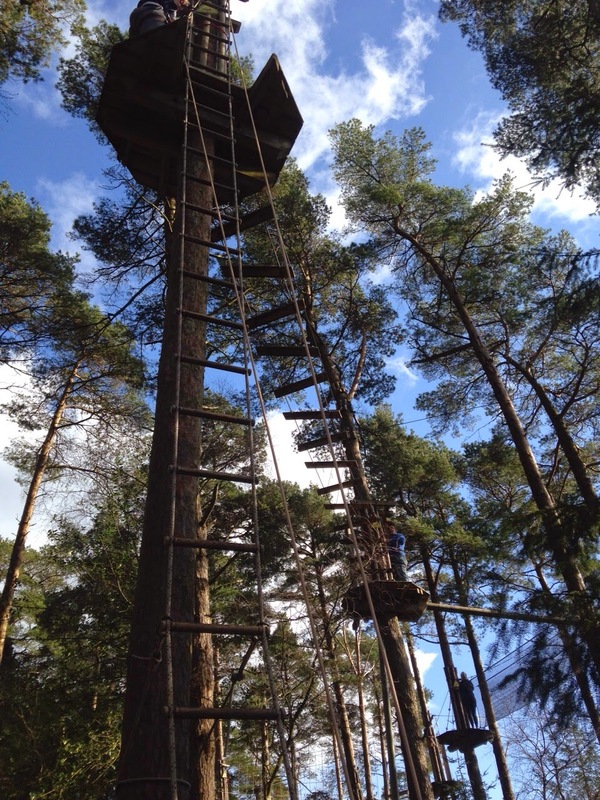 Haldon Forest Tree Top Adventure! Haldon Forest has spectacular views of Dartmoor National Park. 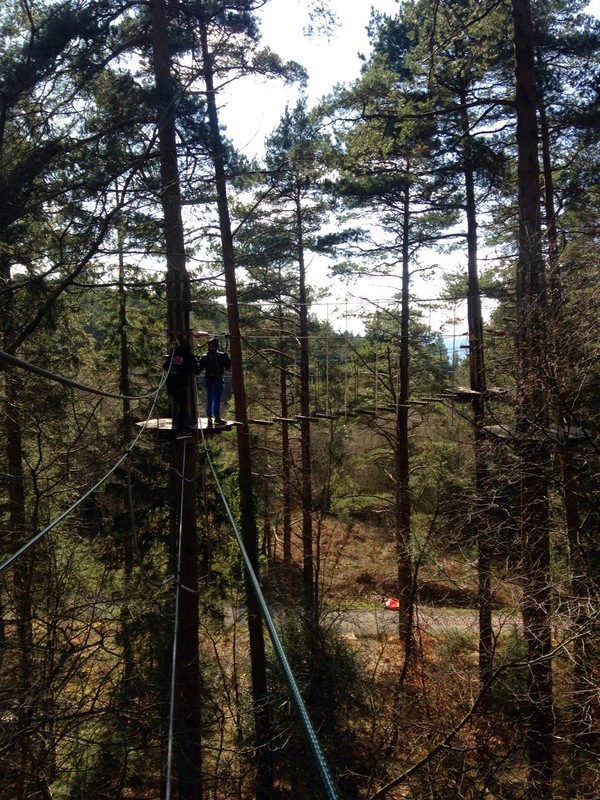 The Tree Top Adventure course is 775 metres and has 5 sections each ending with a zipwire to the ground! It’s highest point is 14 metres above the ground and the longest zipwire is an impressive 230 metres, with seriously gorgeous views of the park! Our instructor for the afternoon was Ian who took us through the basics. After being kitted up with our safety harness, we took to a small course for a practise lesson in attaching your harness to the zip wires and safety ropes. 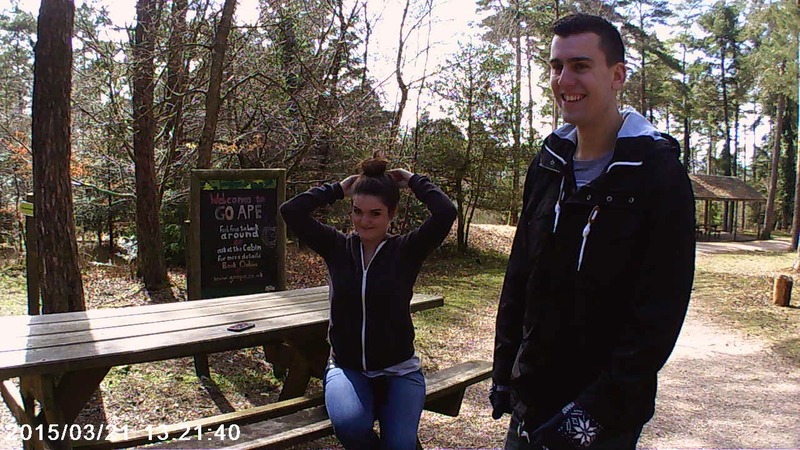 After 15 minutes of familiarising ourselves, we were ready to go alone and climb the trees ourselves! Let Your Wild Side Climb Free! Once you reach the tree top by rope ladders you will see sign posts on the trees directing you. After the first course we were more than familiar with our equipment and knew just what to do! Each obstacle is rated with a difficulty “moderate” “difficult” “extreme” with some options to choose either a moderate or extreme route. Shehzad tackled a few extreme routes which was highly entertaining to watch. Whereas I enjoyed the more moderate to difficult routes! The hardest part for me was the ladders from ground to tree top. I hate ladders anyway, you wouldn’t catch me on a sturdy one 2 feet above the ground so the rope ones definitely challenged me. However once I made the top I was raring to get on with the course! We tackled rickety bridge crossings, tight ropes, rope spider webs, wooden barrell tunnels, Tarzan swings, zipwires and more! 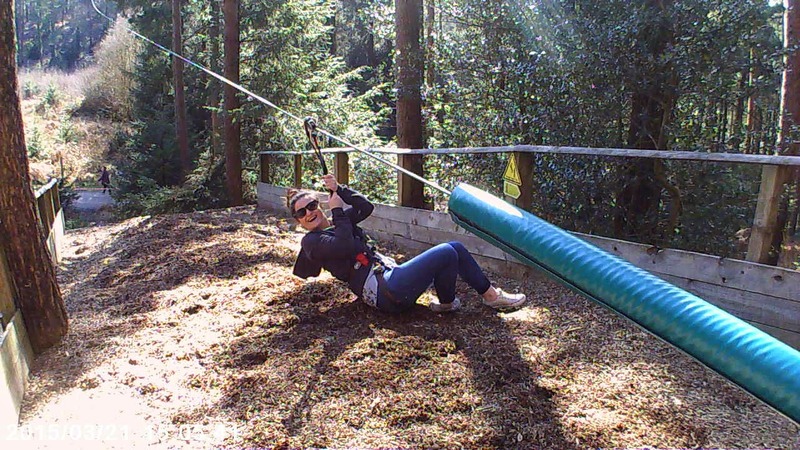 There was never a dull moment and the best parts were definitely the zip wires, swooping through the trees with such an adrenalin rush! Just check out my sister above, on the longest zipwire (230 metres) and landing on her bum for the fourth time but still with a massive grin on her face! All participants are given a certificate for completion of the course, a great novelty to take a pic in front of the Ape statue! 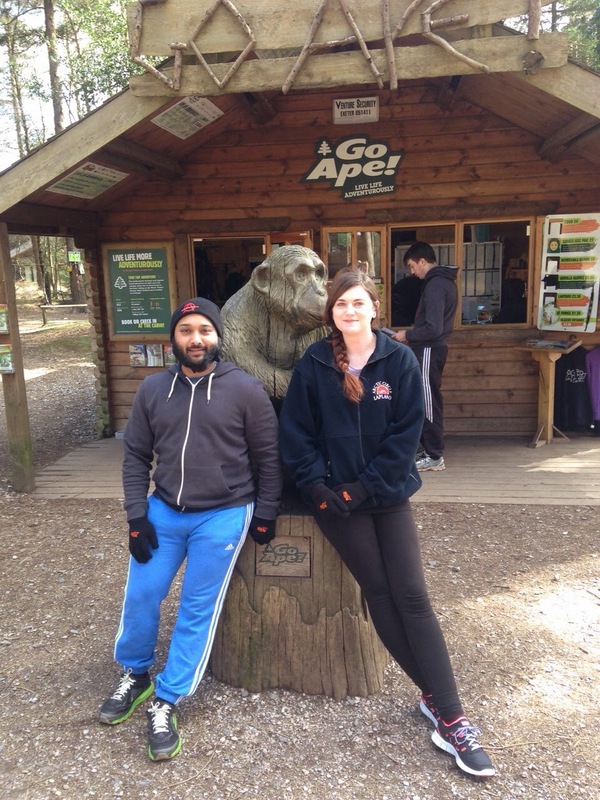 There’s also an option to purchase merchandise, we got ourselves a pair of Go Ape! gloves with grippy palms, perfect for bike rides and future Go Ape! adventures. Go Ape! is a fantastic afternoon and something I will definitely visit again! If you’re looking for an outdoor adventure I’d recommend it to anyone. 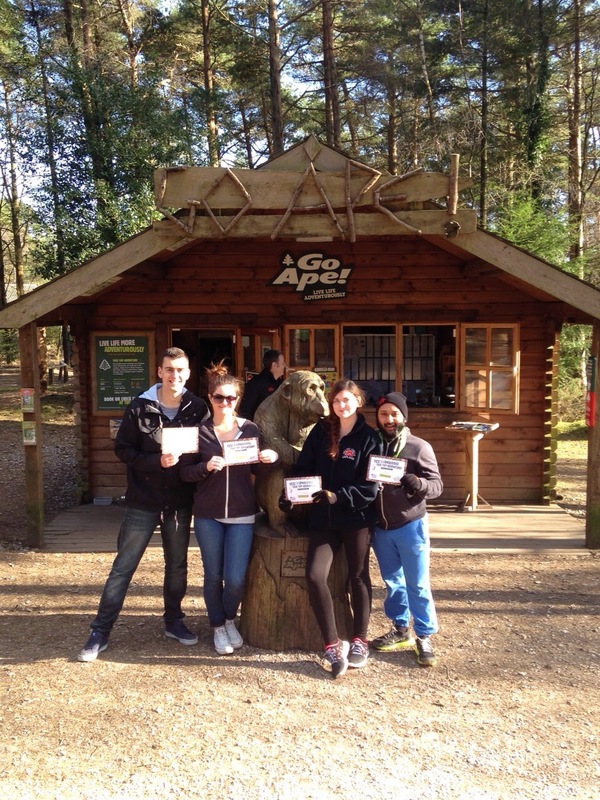 Have you visited Go Ape before? What adventures have you been on lately? 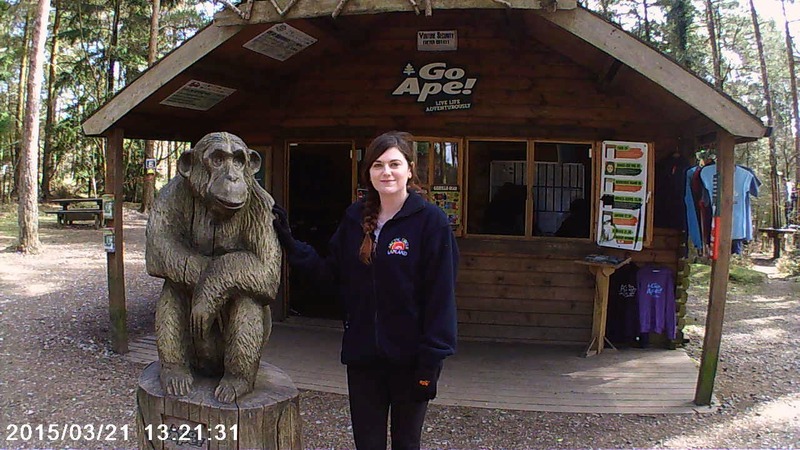 I’ve been wanting to try go ape for years…this has totally brought back all those thoughts back and I might just plan a trip sometime soon! Loved all your photos too! Ooh I’ve done this up North before and I thought it was super scary! I was clinging on for dear life! I think if I brought my boyfriend here he wouldn’t dare go up! I did a zip outdoor adventure climbing thing like this once in singapore, and really enjoyed it! Go Ape seems harder though!Its a good thing they have so many different levels 🙂 Glad you had a great time!